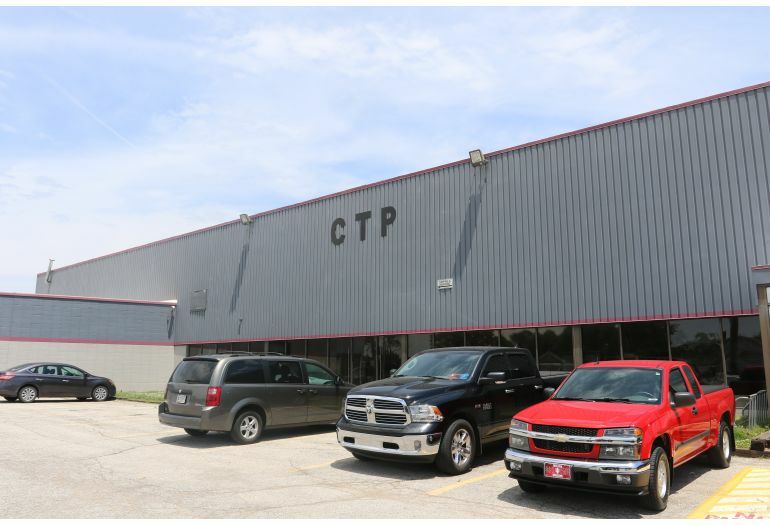 Established in 1974, the Indianapolis-based Commercial Tube Processing Corporation (CTP) has provided clients around the world with high-performance tube assemblies, top-quality metal fabrications and precise weldments. Working with a variety of large quantity orders to supply well-established companies including Caterpillar, Volvo, and Cummins, CTP also depends on smaller orders that other manufacturers will not fulfill in order to gain business. Throughout their history, CTP’s ability to remain flexible, think outside the box, and willingness to take on any sized job has translated to decades of success in the industry. CTP provides a range of products for the diesel industry including over the road, off-road, locomotive, and military equipment. The company’s primary offerings are sub-assemblies for exhaust systems while also offering internal engine, oil sump, fuel lines, brake lines, and irrigation products for agricultural use. CTP generally cuts tubing and solid bar round stock from 1/8” to 10” thick working with a variety of material including carbon steel, stainless steel, copper, nickel, brass, and aluminum. With the diverse sizes, angled cuts, and materials required by clients, CTP relies on MetalMizer metal cutting bandsaws to produce quality materials for the global market. The MetalMizer saw was invented in 1985 when sawmill equipment manufacturer, Wood-Mizer, wanted a metal cutting saw to produce their premium product. The hands-on fabricators at Wood-Mizer wished their cut off saw would tilt a little bit forward, cut at a 45 degree angle in either direction, had finite adjustments on the feed force, and could offer all this conveniently without a bunch of bells and whistles. The fabricators went on to invent the MetalMizer MV2018 saw that is now used by manufacturers around the world, including CTP, to fulfill fabrication, production, maintenance, and research and development needs. 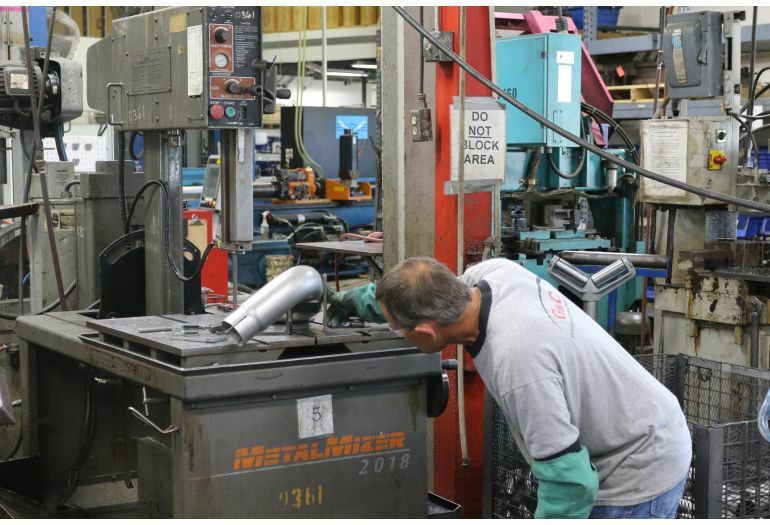 “The reliability, low-maintenance, ease of set-up, flexibility, and small footprint are key attributes of MetalMizer,” shares Steve Lang, CTP Production Supervisor. 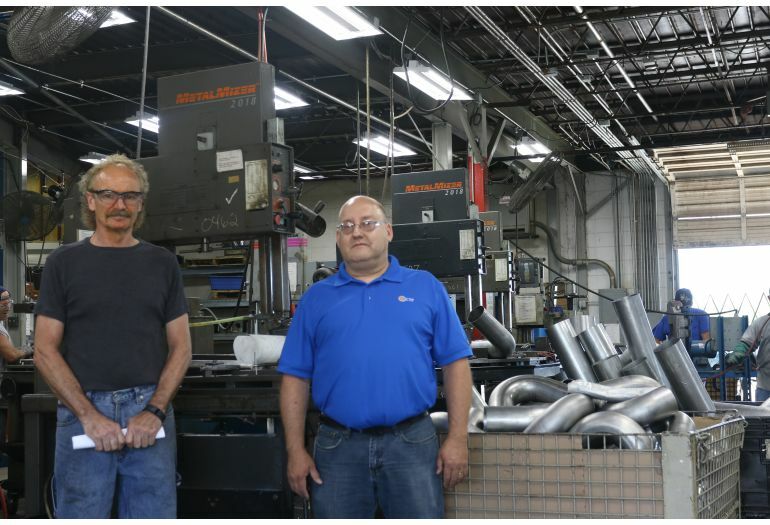 “In the 1980s we purchased one for our sheet metal division and it performed well so we bought a couple for tubing and it’s gone on from there.” Today, CTP runs more than 20 MetalMizer MV2018 bandsaws to operate the business. CTP produces a lot of prototypes for their customers which may require only one or two pieces to test. “The MetalMizer saw, with the ease of set-up, means we can knock that job out real easy,” said Steve. “Why set up a laser for two pieces?” Two MetalMizer saws are set up in the prototype department specifically because of their versatility. Together the saws operate five days a week running half a shift cutting one or two pieces at a time with different setups and requirements for each job. 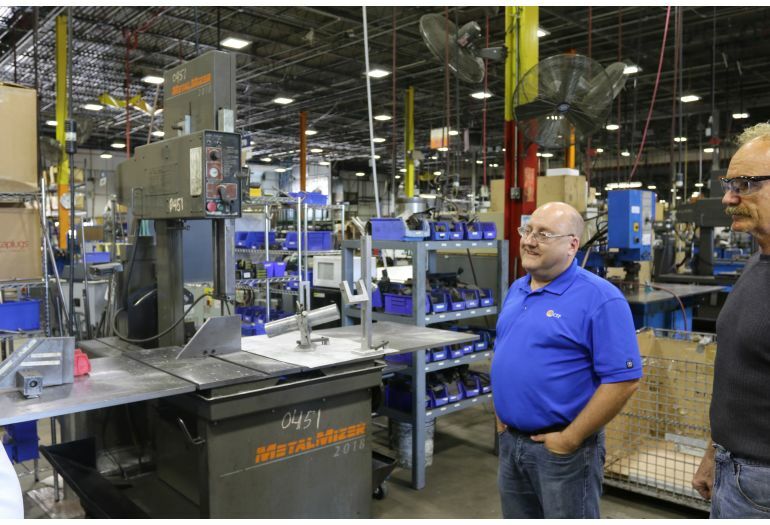 Without doing more than 4 or 5 pieces at a time, Steve says the flexibility of the MetalMizer saws are a great fit for their prototype department. Kevin Bryant, CTP Work Center Supervisor and machine operator, explained the flexibility of the saw allows them to set up many different work cells in many different areas based on production needs. “Ease of set up is really nice on the machines, and they are user-friendly, there’s not much to [operating] them,” shares Kevin Bryant, CTP Work Center Supervisor. The MetalMizer cutting head includes a counterbalanced tilting saw head with pre-stop detents located at both 45 degree angles and the vertical position for fast and easy operator adjustment during any time of vertical or miter cut needed by the job. “Whether it’s a single angle or a compound angle miter cut, the saw head flexibility and table surface can get [us] an accurate cut,” said Steve. Kevin added that the machine requires very little training for the saw operators which makes it easy for anyone to move, set up and operate the machine when needed.While each of the MetalMizer saws operate depending on production demands, Steve shared that the machines require minimal maintenance. “When I talked to our maintenance supervisor, we had $0 entered for the 24 saws for the last five years,” said Steve. “We check fluid levels, the reservoir, and change a bearing every once in a while but basically it’s a no maintenance machine.” CTP does perform a bi-weekly and annual preventative maintenance service on each machine in order to maintain the equipment performance throughout the year. Clients of CTP praise the company’s quality, on-time delivery, and willingness to do the small prototype work that their competitors won’t fulfill. “I see thinking outside the box is a big part of our success,” said Steve. 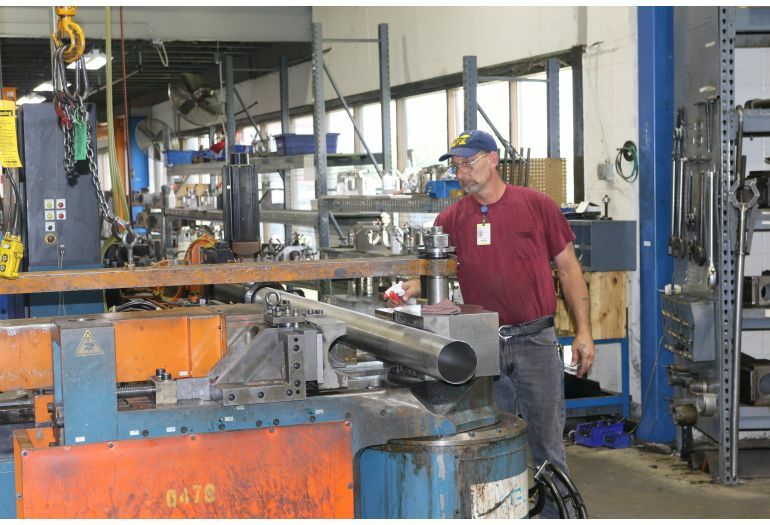 “We figure out how do make things work and over the years we’ve learned [the importance] of that.” CTP’s installation of versatile machining equipment along with the ability to provide quality products at any quantity or specification has positioned them for continued success in the industry.